AFFORDABLE BEACH AREA LIVING. Around the corner from public access to Heceta Beach is this 2016 "barely lived in" Goldenwest Home. Thoughtfully designed with open living concept. 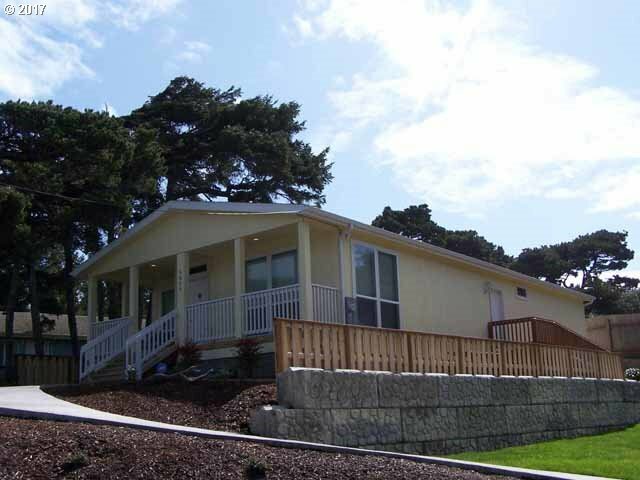 Vacation home or rental investment this sweet 2 BR, 2 BA + den home is ideal for full time living too. Oversized single car garage; insulated & finished with room outside to park trailers, vehicles for beach & road. Attention to detail & move-in ready.